The MikroTik PowerBox Pro is an outdoor five Gigabit Ethernet port router with PoE output on four ports. The PowerBox Pro features a sleek outdoor enclosure, making it suitable for various types of installations such as radio towers. The PowerBox also supports passive or standard 802.3at/af PoE input/output. Ethernet ports 2-5 can power PoE capable devices with the same voltage as the unit is supplied with, making for a cleaner install. It can power 802.3at and af mode B compatible devices, if 48-57V input is used. 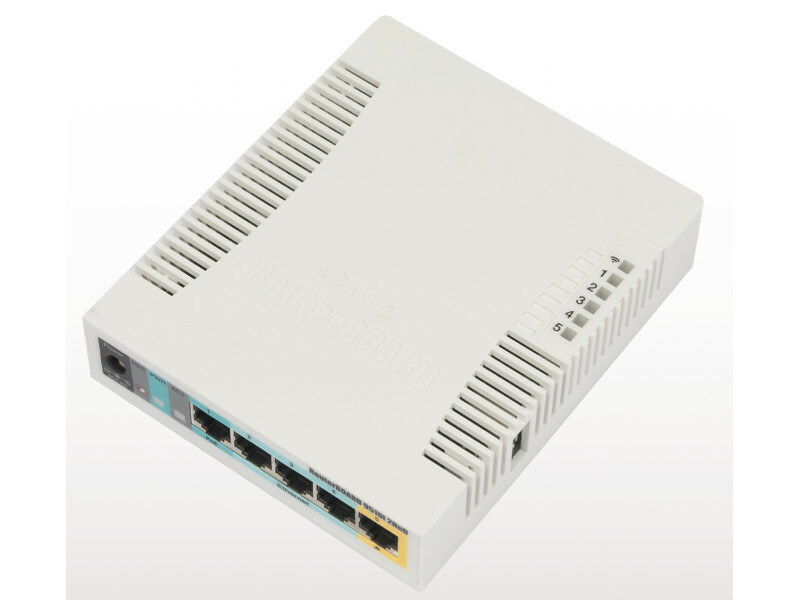 The MikroTik PowerBox Pro has an SFP port for a fiber connectivity, it is small, affordable and easy to use. But at the same time comes with a powerful 800MHz CPU, capable of all the advanced configurations that RouterOS supports.